I NEED MORE! PRAYING FOR A SEASON THREE! I been watching the show every week since its aired and just finished recently and I hope there is a season three! I have watched every version of this show (in Korean, Taiwanese, and Japanese) and the Japanese one is definitely the best. Although, the acting can be really cheesy at time (I'm put off with how terrible Chris' acting is), the show is still sooooo good. It puts a smile on my face and makes me cry too (from laughter and sadness). I suggest watching season one first, so that you can get acquainted with their unrequited love story. If you really enjoy it, watch the other versions too. Sadly, the Korean one did not get the flag for a second season but I'm glad that I got to watch this one! This show is great! Cant wait for more! Episode 0 was great! And i loved it. I think the second season or series is going to be great with their married life. That other couple though was like oh my god the wife made me mad. And then when Naoki like blew her off i was like YESSSSS!!!! Anyways im so excited for the episodes to come out even though im gonna have to wait a week after it comes out because im only a anime member thing. WELL bye. Mischievous Kiss is an amazing drama that gives you everything you`ve ever wanted from a romance/slice of life. Season 1 and season 2 are both perfect and one is not better than the other. Rating: 10/10 It`s a MUST watch!! I really REALLY recomend this. The ending is just PERFECT! You`ll fell like its ends just as you want it to, and that you are not leaving with a bad feeling. Watch it. You will not regret it!! The Feels just Keep Coming. This show just gets better with this season. You'll laugh, cry, scream, and cheer throughout this as you come to better understand Irie Naoki and support Kotoko. The acting is amazing, the new characters worth as much as the returning ones, and you won't be able to resist falling even more in love with Naoki and Kotoko. If you have a drama quota then this will fill it while never feeling as if the characters have deteriorated or been lost to the flow of the story. When it's funny it's hilarious. When it's sad, it's heart wrenching. And when it's sweet it's absolutely beautiful. I would recommend this to any romantic comedy lover or for anyone who wants a lovely look into a relationship that doesn't really follow the guidelines of what most people believe a relationship to be. If I could I would put down 100 stars. Best J-drama I've seen. The end of this drama is so cute! Finally Kotoko and Naoki have a happy ending, but I still want to see this cute couple one more time! I will spend some time to watch Season 1 and 2 again! They are too cute and happy on both Seasons! I wish that they will join in another drama one more time!!! If you liked the first Mischievous Kiss then you will most certainly love this one! The characters are now in college, older, and starting to live their own lives. You still can't help but to root and support Kotoro as she does her best. I was so happy when I saw there was a season 2. When I finished season 1 I was like 'well i guess that's the end, now i have to find another anime/drama', but now I'm so excited for season 2 and the first episode is awesome. Whoever made this has put a lot of thought into this show and I love it. So kawaiiiiiiiii. I hope if your just starting on this show start from the beginning because its like awesome. I really want to see how this turns out!!!!!!!!!!! Thanks for reading my review and I hope you keep/start watching! I have never smiled so much while watching a show. I love the characters and the story so much. This is such a fun and entertaining romantic comedy. It definitely left me wanting more however, the ending made me happy. Very well done show. If a season 3 was ever made, I would be one of the first in line to see it. I highly recommend this show even if you're not too into romantic comedies(I normally don't like them). 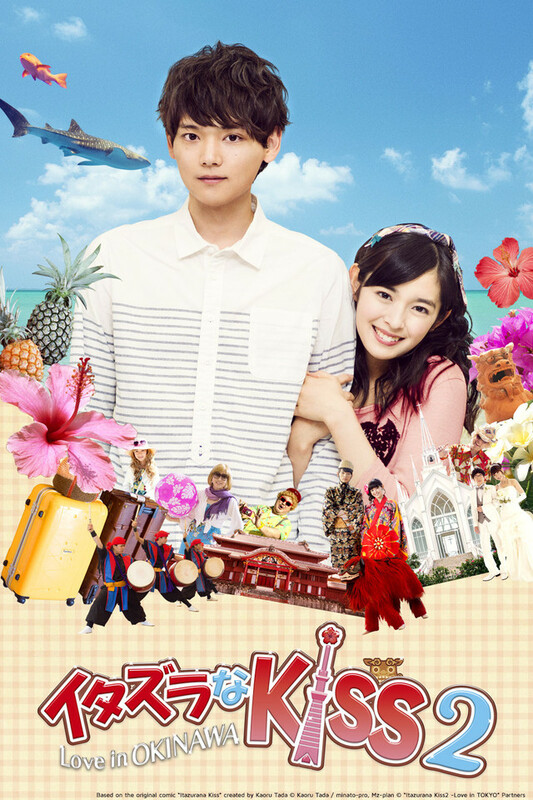 Waaahhh!, This drama was so cute. I love the subtle kisses. Those are the kind of kisses I love to watch. Nothing sexual, just sugary sweet and the way Irie's hand caresses Kotoko. waahh!